Wireworld Stream 7 review | What Hi-Fi? 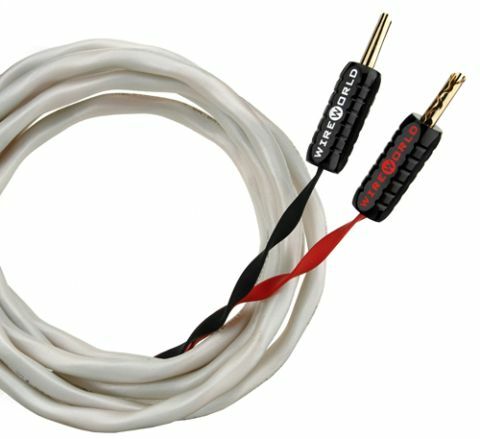 One of Wireworld’s hallmarks is an almost fanatical attention to detail in its cables. And that’s the case here. The Stream 7 makes it its business to convey every scrap of detail dug up by the Naim and Bryston electronics in our kit-rack. It has a lovely way with treble and, when it comes to midrange, is particularly strong. That’s grand, but the Stream 7, for all its conscientiousness, simply isn’t as exciting or as dynamic a listen as similarly priced rivals such as the AudioQuest FLX-SLiP 14/4 or QED Ruby Anniversary. Ultimately it lacks punch, weight and a feeling of true solidity, which robs music of some of its life. The experience here is still an entertaining one, and if you’re a fan of detail above all else, you should definitely consider the Stream 7. But if you’re willing to sacrifice some of that for outright fun, you can do better.